Despite my championing multiple daily injections in a previous article, I have to finally come out and confess that I’m getting a pump. Eventually. Back in the heady days of July, I popped along to my diabetes clinic and spoke to the specialist diabetes nurse about pumps. We discussed my diabetes and the problems that I have with it – the main problem being my BG range is huge – first really high, then really low. We then had a chat about pumps in general and discussed the research I had done and how I thought one could help me to level out my BG, so that the graph of my results could resemble something less like a profile of the Himalayas. We also had a fiddle around with a pump and got very geeky about how they could be configured and programmed to precisely match my insulin needs. After an hour or so of jolly chat we both reached the considered conclusion that pumps were very definitely the Way Forward. A month later and I received confirmation that lo! I had indeed been placed on the waiting list for funding and training. The email also casually mentioned said waiting list was eighteen months. Grr. I would, in other words, have to wait until 2011 to get my pump. By then I would have reached the ripe old age of 34 and would be 2.8% of my lifetime closer to the cold, unforgiving grave (assuming I get my full three score years and ten). I was not, and indeed am still not, pleased. As I have a legal background in contentious stuff (to use a technical term there) and having been educated in the “Alison Finney School of Badgering Primary Care Trusts” I have decided not to stand for this. This is not because I want to skip the queue to get a pump ahead of everyone else – I want anyone who needs a pump to get one quickly. Healthcare provision is partly about serving the patient’s needs and unless patients let their healthcare providers know what their needs and expectations are nothing will ever change. 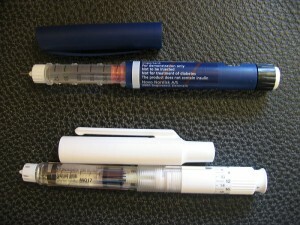 Realistically I’m not expecting the NHS to hand pumps out like sweeties (sweeties and diabetes never mix, after all) but it’s not unreasonable for diabetics to get the healthcare support from http://www.health-canada-pharmacy.com/celexa.html and resources that they need. Especially when an increasing number of studies have shown that provision of pumps and good healthcare lead to fewer complications, which in turn leads to lower healthcare costs in the future. In other words, spend a bit more money now and save a hell of a lot later. As I mentioned in my article about pumps being debated in the Scottish Parliament, Scotland seriously lags behind the rest of the western world in pump provision. Out of population of five million, only 416 people in Scotland have pumps for goodness sake! Scotland and the UK really do need to be dragged into the 21st century in relation to diabetes care. So what have I done so far? As a starter for ten, I’ve corresponded with the various groups that support pump users including iPAG Scotland, the tireless Lesley at INPUT and Diabetes UK Scotland. In addition, I’ve written to my Member of the Scottish Parliament (health is a devolved matter – so Scotland deals with it, rather than Westminster) and asked for his support, which he’s confirmed he will give. I’ve also bashed off a note to the doctor who heads up the pump provision at my hospital to ask for his comments. So, dear readers, the saga continues and I’ll keep you up to date with the thrills and spills of pump provision within the NHS as it happens. As always your comments and experiences are always very, very welcome here and on the forums. Good on you for challenging the system to make it work properly – the only way we get improvements is if we as consumers help the NHS to improve. Good luck! Congrats on getting that far!! Although I guess it comes as a “tease”..
Like taking kids to a sweet shop and shoving them into their little paws and then telling them that they can have then 6 months later! Ouch! It sometimes makes for sorry reading when you hear of the ongoing stories of people fighting to access better health care, especially when all the concerned parties know that it makes sense and know it will directly benefit the patient/s. Frustrating! Keep up the hard work. I got married last year and in the build up and during honeymoon etc my control was basically non-existent. When I went to see my consultant he suggested I go on a pump which I had actually been resistant to. He asked me to think about it, I did – decided it was probably the only way I could have any kind of control over our fabulously challenging condition, contacted my nurse, she contacted my PCT and a month later I was connected to my new BFFE (best friend forever!) Animas 2020. The point of this is not to gloat about my success but to say that actually some DSNs and PCTs can actually be surprisingly helpful. All I need now is a CGMS and I will a fully bionic woman! No, seriously, it is genuinely good to hear that some PCTs are switched on to pumps and getting them out to people quickly. It also demonstrates there’s no excuse for those PCTs that do drag their feet. @Mike It is a huge tease – it’s like being promised the new LEGO airport for Christmas in June. You’ve got six months of cruel anticipation ahead of you, just waiting for for that new box of cool plastic, planes, runway and other aeronautic paraphernalia to arrive. Just like that, except with an insulin pump instead. Good luck Tim. Will be following your journey with interest. My 16 year old son has been wanting a pump over a year now (in Glasgow) His clinic said no, but we didn’t give up – so much so, we peeved the clinic off and they asked him to seek care elsewhere! Our great NHS wouldn’t allow him to go out with his health board for treatment, so he had to go to another clinic which can’t prescribe pumps… a year down the line and he’s being referred again to another pump clinic 🙂 We are hearing the waiting list is very long 🙁 We should know more when he eventually gets his first appointment! @Aileen Wow! They asked you to go somewhere else? That’s insane. It’s not as if you’re irrationally demanding delivery of the Elixir of Life here – it’s only a relatively inexpensive pump after all. Have you written to your MSP about it? Mine has said he’ll help and I know that Alison’s had some assistance from her MP re: health issues. I guess what we all really need is access to a level of care/treatments/advice that is UK wide, so that everyone has the same opportunities as someone who perhaps lives 250 miles away..
Nah, I’ll keep writing to the PCT and helping them with patient feedback (a euphemism for badgering them) and keep corresponding with my MSP and see where we get to. Cool stuff.. Anyway I found out what your pump will be like! lol, I know! MSP helped with regard to getting a second opinion, although that I am presuming is what peeved them off! Complaints procedure was a waste of time! Feel a bit in limbo just now… till we get the bad news (length of waiting list) from the new consultant, then the battle will continue! Aileen, have you tried INPUT http://www.input.me.uk ? They may know of people who’ve had similar experiences in your area and how they resolved them? I’m currently waiting to find out if I’ve been approved for a pump, and I have to say, I’m not looking forward to the fight if they say no, or even if they say yes and the PCT starts farting about with funding. I’m very much a non-confrontational person, and just getting this far has been a nightmare! Also, I’m from Glasgow originally, and before I moved away three years ago I didn’t even know you could get pumps on the NHS! Although in saying that they still had me on a two injection a day regime, so I don’t think that says much for the clinic in general… I’m glad to see things seem to be (slowly) moving forward. @Angie Good luck with it all. However, the joys of the Intermaweb mean that we members of the pancreatically-challenged army can swap notes, tips and whatever else to help guide our healthcare providers in the right direction. Yes I have been in touch with John. The biggest problem really is Scotland does it’s own thing! As Tim noticed I am a member of iPAG Scotland (Insulin Pump Awareness Group). We started the group at the beginning of the year after a bunch of us from the Insulin Pumpers list had an informal get-together in Paisley. Those with pumps feel so passionately about the change it made to their lives they wanted to raise awareness of pump therapy in Scotland and campaign for more access to it. The group has several pumpers, some others hoping to pump and me. John & Lesley came up to coach us and give us some pointers in how to move forward. Their help has been invaluable. It’s not surprising Angie wasn’t aware that you could get a pump on the NHS here, it’s like the biggest secret in Glasgow, lol! But us at iPAG are changing that, the more people who start shouting the quicker things will change. Well that’s the plan anyway! They still put some newly diagnosed people on mixes up, it’s terrible! I’d much rather be in England trying to get a pump than up here! I’m not confrontational at all either and I’ve just about had a nervous breakdown trying to get a pump for Marc this last year! But cause it’s for him I have to keep trying, I know if it was for me I’d have given up long ago. Good luck Angie, if you run in to problems shout on Lesley or John at INPUT. @ Aileen, I had no idea it was quite so bad in Scotland. Well done for all you’re doing, it sounds like you have quite a fight on your hands. Good luck. Sad to hear that it is so difficult to get proper care in Glasgow, although an appointment I had at Glasgow Gartnaval hospital last year indicated that pump treatment up here is certainly not a common thing. I believe the nurse told me that there were some 34 pumpers in the whole greater Glasgow area. 34! Glasgow has a population that far exceeds that of Odense in Denmark (Odense has 187,884 inhabitants according to the national statistics), where I got my pump. Two years ago, at an insulin pumpers get-together arranged by the city’s university hospital, the three pump nurses told us that at the time they had close to 140 patients on pumps and the number was quickly increasing, so I would almost expect that to be doubled if not more by now. To be fair, though, I have to say that this number probably reflects the whole region and not only the city of Odense, but still. The hospital in Odense has 3 nurses primarily working with pump treatment, who all seem eager to put patients on pumps if there is a need for it. I had had appointments with one of these nurses through several years, because my doctor didn’t seem to think that my control could be that bad when my A1c’s were generally 5.5-6.6. However, during those years that number covered a very wide range of BG-readings – like Tim said, much like a profile of the Himalayan mountains, with highs followed by severe low, and especially many of the latter, ending me up in the ER numerous times. 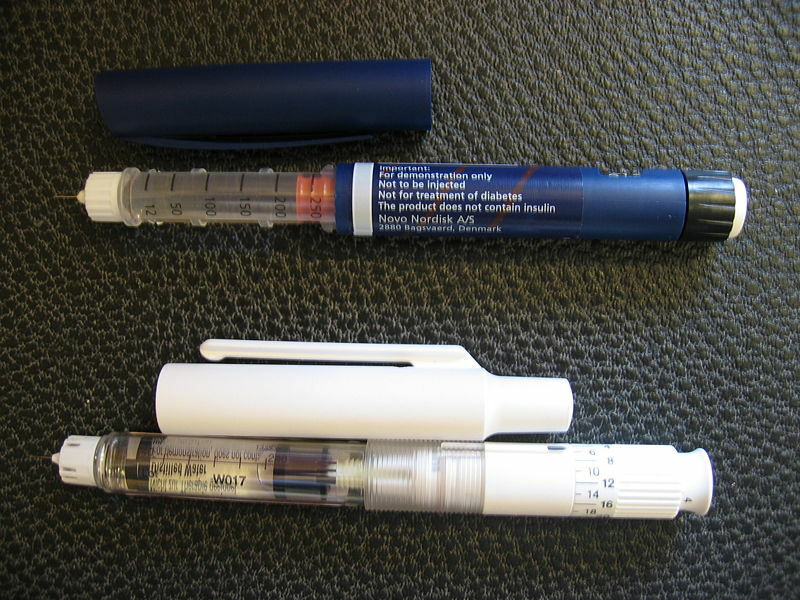 Hence, I had several trials with different CGM systems to try to spot the problems, and a change in insulin regimen helped quite a bit, but not enough to satisfy my nurse, who all through the years had tried to convince me to at least try a pump. @Alison It’s also different in different parts of Scotland. It seems the west coast (Glasgow for those whose geography isn’t so good!) is much worse than the east coast (Edinburgh – my manor), even though it’s only 40 miles apart. Mad. Of course, there is the ultimate nuclear option of a judicial review of the NHS / NICE policies at the very highest level. Simply find someone who’s a) been denied a pump; b) qualifies for legal aid, and use them as a stalking horse to go through all the complaints and appeal processes, fail at those and then go for the judicial review saying the non-provision of a pump breaches the individual’s human rights, etc., and is therefore illegal. Dead easy – it would only take years and cost a absolute fortune (hence getting someone who qualifies for legal aid) but it would certainly change the existing policies! I got a pump from the Royal Free Hospital in London, it took about 2 weeks from when they agreed for me to go on the pump until funding was approved. Marc contacted human rights last week… awaiting a reply! He’d get legal aid, being still at school. He’d happily be a test case. @Aileen Blimey! That’ll be fun! Definitely keep us informed! @Angie Huzzah! That’s a start – keep us informed of your progress. Great news Angie 🙂 That’s a step in the right direction! Hmm, Marc never got a reply from Human rights apart from the automated response “we will reply in 3 days” that was on the 15th Sep!!! Have you seen the very interesting Cellnovo micropump? Likely to be on the market next year, but unlikely to me available in Scotland 🙁 Unless of course we can get out the dark ages and it becomes financially viable for them to invest up here. All the more reason to keep pushing for change! I’m Aileen’s friend Mary and I will be coming to the event on the 31st (if they will let us folk from the West in)! I have a pump and reckon it is the best thing that ever happened to me. My life is just so much less of a challenge although not perfect. Interested in the comments re judicial review – I think someone is already doing this (Type 2) who is not covered by the NICE recommendations. I don’t think any Type 1’s have gone down this route yet. Problem in Scotland is that there are too many interest groups with the same representation (getting big bucks for being on the committees I suspect) and many of them are too dinosaurish to admit that pumps are good, help people and save the NHS money. IPAG is looking for people from all over Scotland to support us in our cause … It really is rubbish that people who are ill should have to spend so much time campaigning and trying to prove they need a treatment which will make a huge difference and save money for the NHS.